beating at 36,000 vibrations per hour and thus able to measure one-tenths of a second. 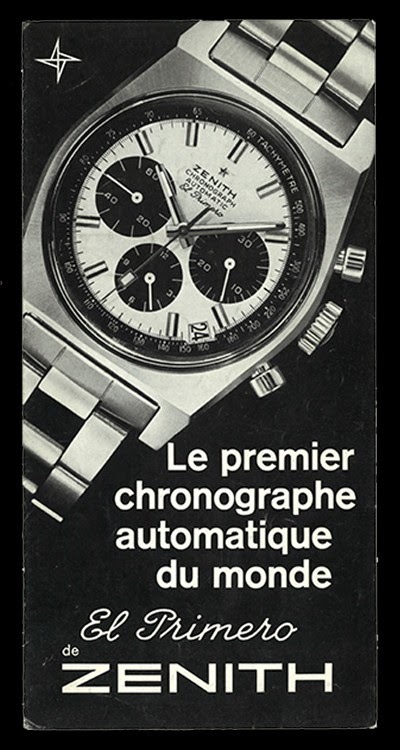 On January 10th 1969, at a press conference held in Le Locle, Zenith announced the birth of El Primero. Zenith was therefore the first manufacturer to publicly launch its own automatic chronograph. That one is very tempting, too, but I would prefer the A 386.